Looks like this baby is ready to break out! AUD/JPY has been trading inside a triangle pattern on its 1-hour forex chart, with the consolidation getting tighter and tighter each day. Stochastic is moving down but is almost in the oversold area, which suggests that another bounce off support might take place. 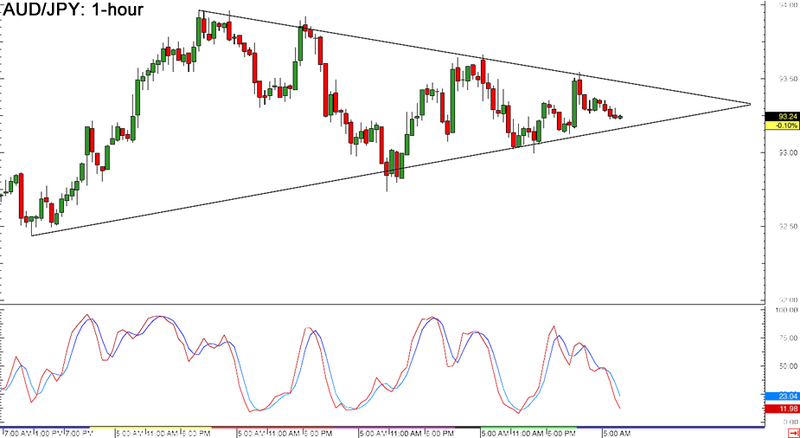 If that happens, AUD/JPY could test the triangle resistance around 93.50 once more. 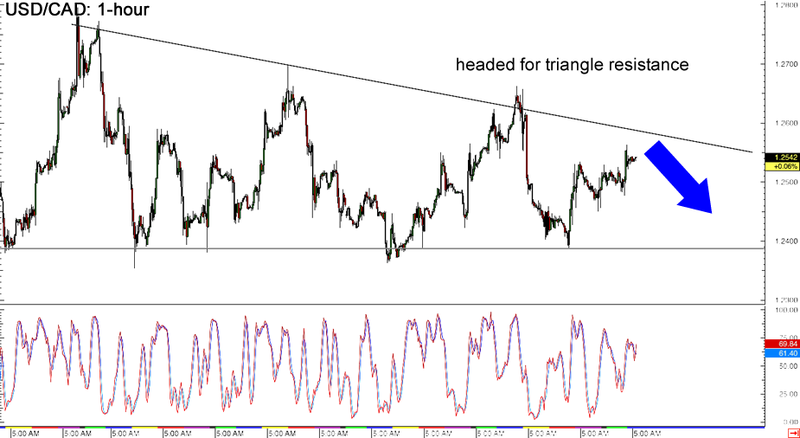 Just be ready for a potential breakout in either direction, as the resulting selloff or rally could last by roughly 150 pips, which is the same height as the triangle formation. Here’s an update on the USD/CAD descending triangle that Happy Pip and Pipcrawler have been watching closely. The pair recently made a bounce off triangle support at the 1.2400 major psychological level and is headed for the resistance near the 1.2600 major psychological mark. Stochastic is pointing down, suggesting that the resistance might hold once more and that another test of support is possible. If dollar bulls are strong enough though, they could still push for an upside break and a potential 400-pip rally, which is around the same size as the chart pattern. 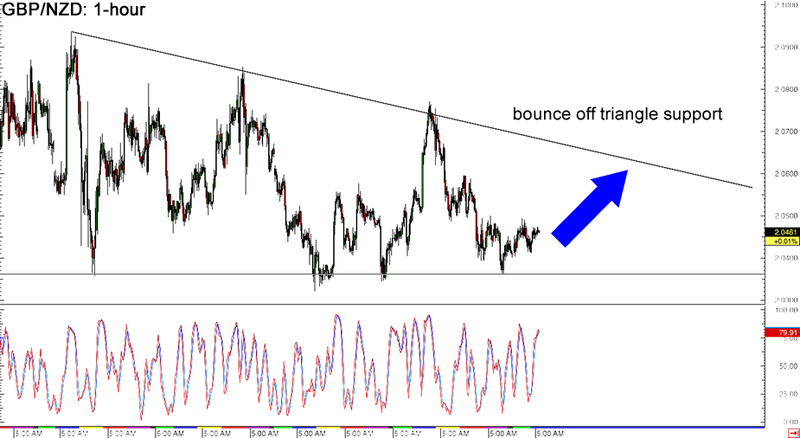 If you’re bullish on the pound, then you might like this neat triangle bounce off the descending triangle support on GBP/NZD’s 1-hour forex chart. The pair looks ready to head towards the top of the formation around the 2.0600-2.0700 major psychological resistance levels. Stochastic is pointing up, which means that buyers are still in control of price action for now and that a move higher is likely. If sellers take the upper hand, GBP/NZD might test the triangle support near 2.0400 once more or perhaps go for a downside break!